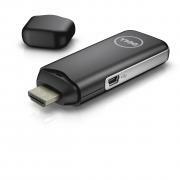 Dell has announced that the Android based Cloud Connect stick will go End-of-Life by the end of January 2016. Cloud Connect can be attached to any HDMI/MHL capable TV or monitor and offer you options to connect to your favorite environment, like Citrix XenApp/XenDesktop, Microsoft RDSH/RDVH, VMware View, Dell vWorkspace or by simply using in onboard Browser to surf the web. This is really a cool device for kiosk systems or by just attaching it to a beamer in a conference room. Connect a keyboard and mouce via bluetooth and use the wireless connection to be ready to work. Cloud Client Manager can be even used to manage the device centrally. If you haven’t tested or bought this puppy, do it now, before end of next January.